Child custody issues are the most sensitive part of a divorce, and even after a Bellevue divorce is finalized, problems may sometimes arise that cause a parent to seek modifications to their custody arrangements. This action can spur animosity from the other parent when old wounds are reopened, but Washington family law requires that Bellevue parents work together with their children's best interests in mind. This may be hard for some parents, which is why help from experienced Bellevue child custody modification lawyers makes good sense. Many important decisions must be made when determining how a child is to be raised, including residential placement and visitation. One parent may want to change the custody agreement, while the other opposes it but no matter which side of the issue you're on, you should speak with one of our qualified Bellevue family law lawyers before taking any action. While parents undeniably want what's best for their children, our Bellevue custody attorneys often encounter parents who don't agree on the definition of "best." Bellevue custody modification negotiations must be civil if they are to be successful, and failure to maintain amicable discourse could motivate the court to render its own judgments regarding your children's future. Your modified custody agreement must be approved in Bellevue family court, so achieving a reasonable agreement is vital to its success. Our Bellevue family law lawyers fight to protect your personal interests while urging you to maintain focus on what is truly important as we work to resolve this situation. Sometimes negotiations with an ex-spouse stall or become heated. Our Bellevue child custody modification attorneys help by urging you to find some way of reaching an agreement with your ex-spouse, which may not always be easy. If your ex-spouse is unable to treat you fairly, we may have to involve the Bellevue Family Court. Bitterly contested custody modification hearings often take an emotional toll on everyone involved; especially children. This is why it makes sense to develop a plan that minimizes confrontation, with help from one of our Bellevue child custody modification lawyers. Washington family law judges want to keep children's lives free from unnecessary disruption. 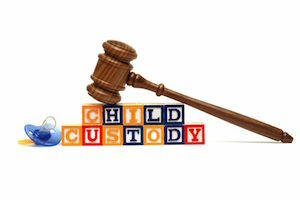 Once they render a final decision, both parents must agree to changes in the child custody agreement. The final decision of a judge may only be altered if there is a significant or dramatic change in one parent’s situation. Contact one of our Bellevue custody attorneys today, and enjoy a free consultation, which is a valuable opportunity to get risk-free help from our team of Bellevue attorneys. With more than 30 years of combined experience handling family law cases, our Bellevue custody attorneys are well-equipped to help you handle any child custody modification issues.